Speedometer Keynote template - Free Download Now! 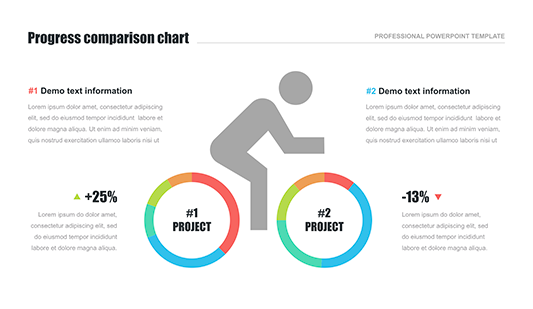 What is our speedometer Keynote template for? Here, users can see one of our unique creative elements for presentations. The speedometer Keynote template represents a set of two elements with description blocks. Two colors (blue and red) are used but they can be edited. It is a multipurpose working tool for the creation of professional presentations. Infographics play an important role in the business environment. Due to the lack of vividness and a great number of complex topics, it can be difficult to perceive some information. Thus, preparing a presentation for a conference or a meeting, speakers usually add various visualization tools. These include charts, clipart, schemes, and so on. This speedometer chart is one of such elements. This slide is aimed at visualizing complex data as well as diversifying speeches and drawing listeners’ attention. 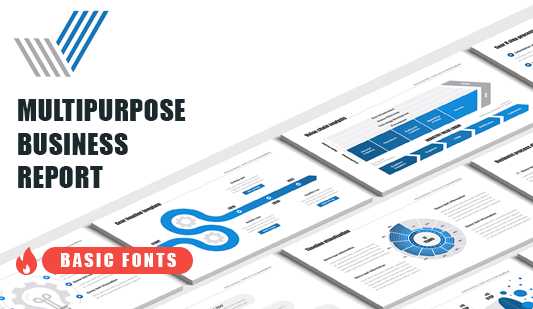 This is a creative modern template for sites, blogs, and digital projects. Perfect quality. Business listeners do not forgive mistakes. That’s why it is important to impress them for the first time. 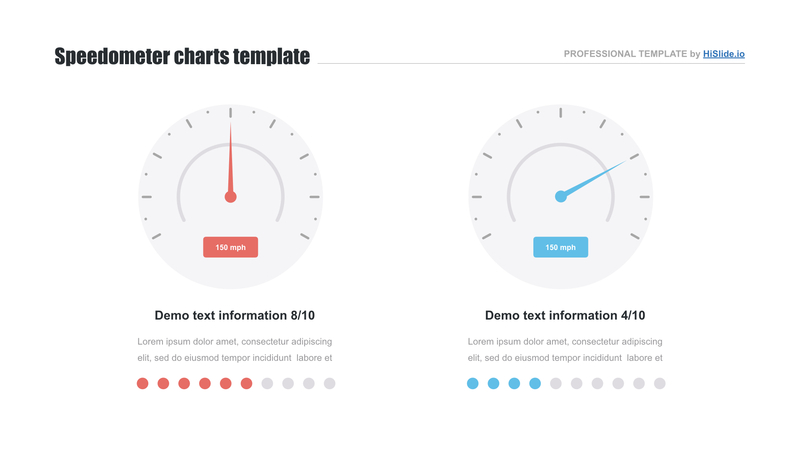 And a high-quality professional template such as this speedometer chart will perfectly demonstrate your skills and competence. Our elements are tested and we guarantee that they do not have visible defects. Free download. If you want to have a speedometer shape in your presentation, it is possible to download this slide for free. Click on the button and get a unique high-quality template. Multipurpose template. This chart is suitable for sites, webinars, blogs, and other digital projects. The element is able to display different types of information. Easy-to-use premade element. This speedometer Keynote template is a convenient tool that will help to make work easy and pleasant. 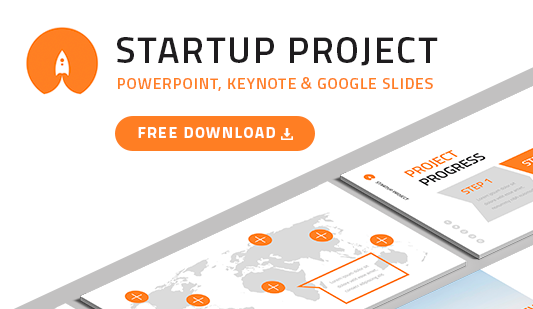 Create presentations in a few minutes and enjoy your responsibilities with such an element.